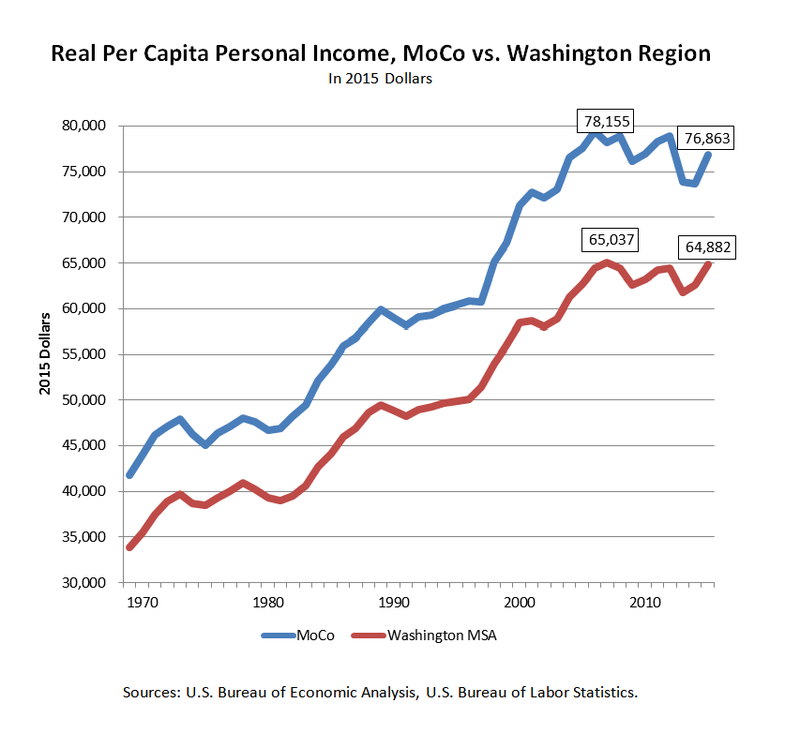 For decades, the Washington region and Montgomery County enjoyed steady rises in real per capita personal income with short pauses during recessions. That changed during the Great Recession. According to the U.S. Bureau of Economic Analysis, real per capita personal income (in 2015 dollars) fell in both the region and the county between 2007, the peak year before the recession, and 2015, the last year available. A fall of that severity and duration has not happened since data reporting began in 1969. 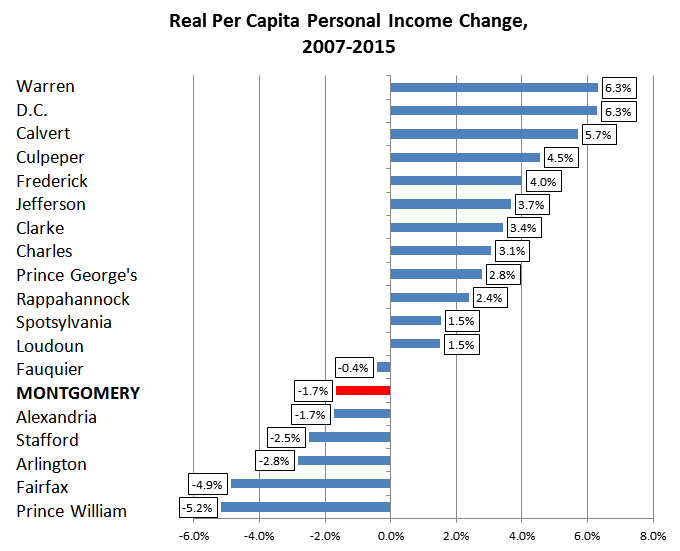 Montgomery County’s real per capita personal income drop of 1.7% during this period ranks 14th of 19 local jurisdictions measured by BEA. Montgomery County’s poor performance in creating jobs made it particularly vulnerable to the Great Recession. The District of Columbia and most of its suburbs have recovered their income losses since the recession ended. Montgomery County has not.